as the players aren't particularly significant. I have noticed that at some in my career(s), my entire team stops developing. This is rather strange, mostly because I have created an entire youth team in the Dutch Eredivisie, consisting of players under 25. None of them gain experience, despite 4 Gold coaches, State of the Art training facilities and plenty of game time. Anyone knows what's going on? Possibly because the Dutch league isn't competitive enough. No I'm serious, that's a feature. If your team doesn't play in a 'top' league then their development will be stunted. I am not dealing with world star talents here though - I bought/developed Eredivisie talents or players from the second Dutch league (mostly real ones) in order to grow them. Results are fine too, as the team just won the Dutch Cup and ended 4th. I am quite surprised that literally none of them have any growth whatsoever. - At some point I imagined that the lack of experienced players in my team decreased development. I signed a few experienced free agents but nothing happened. - I tripled everyone's wages but this didn't do much either. - Stadium upgrade - nope. Hmm from what I've experienced, you need two things for a player to hit his peak. If you don't have both of this then it is expected that your players have stopped growing like this. If you do have both and they've stopped growing then it simply means they have reached their potential. A lot of the others in my squad not in the photo are also away on International duty. Beale I have called up from the reserve squad as there were no first team keepers available to pick. 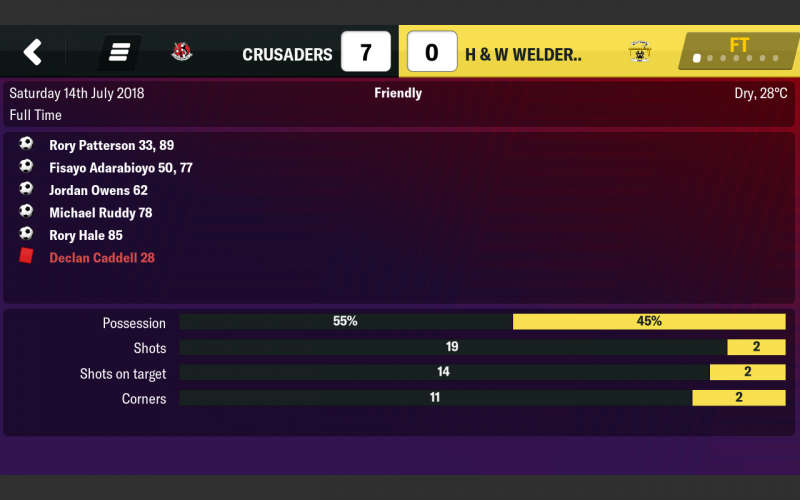 Just played a game where an opposition player was sent off yet doesn’t show on the opposition tactics that the guy wasn’t even on the bench let alone starting eleven? Just played out a season as FC Bayern for fun but not much fun was had. I felt like I was testing a pre release beta version of a game which is crazy considering we are almost in mid April. I won’t list every bug I came across as it would just take too long and we all know SI is fully aware of the current bugs. I will list a few I’ve never seen before though. One was where I put a bid in for Timo Werner and ofc loads of other clubs decided to bid too and they finally settled on £66mil from Liverpool and me. I didn’t get to negotiate a contract with him immediately and press continue once. The next day my first news item is the contract negotiations with Werner and the second is the fact that he’s signed for Liverpool. 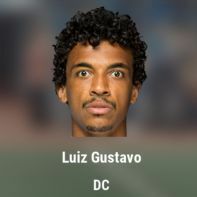 Weird that AI can just steal a player from under your nose like that and it demanded I negotiate anyway even though he’s now a Liverpool player. Another is the fact that most of the players I loaned out the news item when I received the original loan offer states the side are rumoured to be interesting in signing player long term but not once did they actually offer a buyout clause. I’m guessing when their loan ends I might have a few nasty surprises. And finally, why does my home screen give a Red Cross next to the Champions League implying I’m out of the competition when I’ve literally just beat Barca in the final?! Screen shot below. I also had constant problems with a player constantly having a tantrum about not playing despite playing every game. Ouch. I was thinking damn, how did I miss that?! But checked my news and I hadn't had a notification on it. Funnily enough, I checked again in January and he was fit again and had played one game for QPHa. 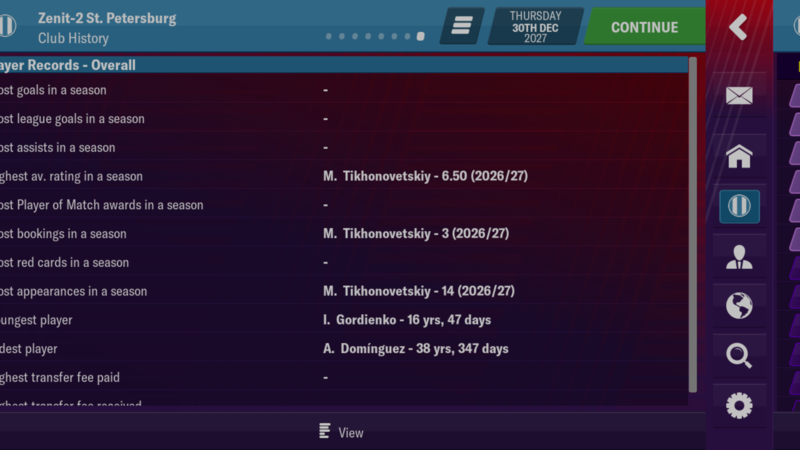 So I signed him again and later, he got a 10-day injury or whatever and I did get a notification. Hmm! 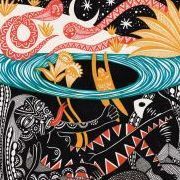 Apologies if this has been mentioned already (but there’s 40 pages of replies to go through!). 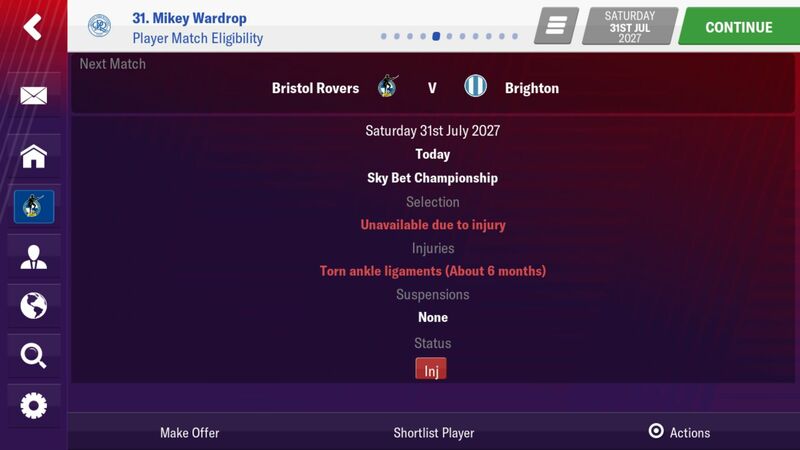 If I rotate a striker for one game due to him being at 84% or something, he gets Unhappy and says he can’t believe he’s not a first term regular. Goes to the press usually too. This happens with a couple of my strikers. Fair enough if I drop them for a few games but one game seems Ridic. They’re back in for next match! Why is it if you start a new save with a good team AI clubs will come in with ridiculous transfer bids for multiple players before the first transfer window closes but after it closes you’ll be lucky if you get a bid close to their value every again. 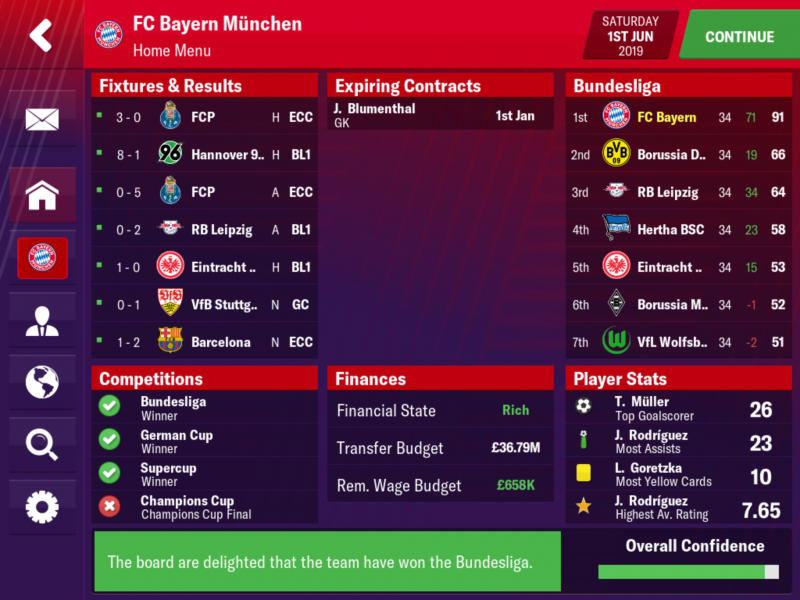 An example of this is recent Bayern save were I had multiple £149mil bids for Thomas Muller, him being valued at £50mil, plus many other massive bids for my good players of which I accepted most except for the Muller bids. No fast forward to the January transfer window and I was getting the same teams bidding for Muller but now they were bidding £45mil despite him having an amazing 6 months of first team football. I think some players are like almost scripted to get deals at the start.Everytime I start Manchester city(to do the work permit achievements),it always occurs to me Aguero would get an offer,usually a sum of 100+m.I have done this achievements so many times now and this offer comes in quite often. The game is in a bad state right now. I just can't renew with a happy player after giving him exactly what he asks. Hell, I even offered 3.2M a month after having him asking 1.1M and he still rejects and does not negotiate to anything else. If a few days pass, Man City grabs him with 1.9M a month. I'm at Leixões SC. But year is 2028 and I am 8 times UCL champion. It's not really about interest, because the player is interested in signing with me. But when I offer him what he wants, he negotiates to the exact same. Mood goes up. But that's it. He says I am close to what he wants. If I keep negotiating he eventually just drops the negotiations. I'm at Leixõ﻿es SC. But year is 2028 and I am 8 times UCL champion. It's not really about interest, because the player is interested in signing with me. But when I offer him what he wants, he negotiates to the exact same. Mood goes up. But that's it. He says I am close to what he wants. If I keep negotiating he eventually just drops the negotiations. Game is unplayable for me at the moment. 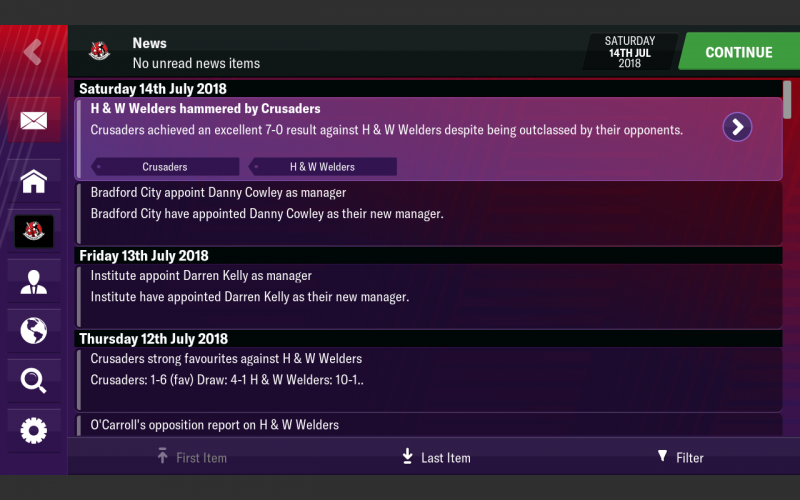 I'm in 2022, and every game I play ends with multiple players running to the press and saying they need to leave the club for 1st team football. I’m having same issue. I played first 6 months of the second season of a Bayern save I posted about a couple of days back and literally every week a minimum of 2-3 players a week are going to the press complaining making me respond. They are complaining when they get rested for one game when they are jaded, complaining when they aren’t playing during an international break and some are even complaining when they have played the last 6-8 games in a row without a rest. It’s nothing to do with squad status as half the complainers are on rotation status. It’s affecting the save so much with 3 of them complaining so much and requesting transfers their squad status is now outcast. The save is totally ruined and the game is literally unplayable atm ....and all of this is compounded because of this ridiculous conditioning update. This contract demands issue is becoming seriously annoying now. The latest one, trying to sign Chris Mepham from bloody Bournemouth. Fee agreed and then we get to the contract. He's on £25k a week and what does he want to move?